Instagram Posting Frequency-- How Much is Too Much? — CROWD. Does over-posting on Instagram lead to less engagement? Since Instagram’s algorithm launched two years ago, the question has been echoing around in the minds of social media marketers everywhere. It’s up for debate what over-posting actually entails, and how it might impact strategy. Instagram, in its own defense, recently stated that their algorithm does not penalize or downrank users for posting too frequently. However, if a user uploads too many photos too quickly, the algorithm might swap in other content between posts. We took a look at the actual posting stats to determine what over-posting might do for your performance rates. We gathered data from 476 fashion and apparel brand across Instagram, across a 28-day window. When assembling the data, we measured the number of likes they received on all of their own published images, as well as their rate of posting. These numbers were measured against several other variables collected before the deprecation of Instagram’s API earlier this year. The data covers a fairly wide spectrum of followerships-- the average brand followship of the dataset was 592,400, and each had between 1k and 10.5m followers. The first thing we looked at was the relationship between how frequently a brand posted and the engagement each post received, as demonstrated below. To start, we can see that the model is not linear. With that said, we have certainty that posting twice per day doesn’t definitively cut engagement in half. Rather, this model is a ‘power curve’-- it’s visually clear that beyond posting once per day, the rate of engagement decline is extremely slow. At around 1.5 posts per day, our data line becomes basically horizontal. Nobody wants a reduction in engagement, no matter how small the numbers. Still, there’s another way to look at this data. The below graph follows the same principle idea as the above, but in this instance, we’re plotting the daily posting rate against the engagement rate per day, rather than per post. This is an attempt to test the overall level of audience engagement per day, relative to different daily posting rates. Focusing on per day engagement is just another way to interpret the data we saw on Plot 1. Whereas we were able to see the rate of engagement per post fall in the previous graph, in Plot 2, we can see that loss gained back in daily engagement. In the second graph, we can see that as the number of posts increases, the daily engagement rate rises accordingly. Which is to say, although there may be a reduction in engagement for each post, posting more frequently can mean your brand will actually get more engagement overall. And the numbers back it up-- in this instance, doubling the posting rate per day means a 1.61x increase in daily engagement. Put another way, a brand that posts once per day and sees 10,000 daily likes on average would receive 16,146 likes if they posted twice per day. Proceeding from this conclusion, a brand that posts three times a day will average 2.2x more engagement than a brand who only posts once. That would mean transforming 10,000 likes into 22,200. Seen from this angle, it makes a certain amount of sense for a brand to post frequently to social media if they wish to strengthen a message. The fashion brand Double Agent posts an average of 4.8 times per day. In this study, they were the highest scoring brand for daily engagement, reaching 16.25%. This brand employs a number of great Instagram marketing strategies. They use multiple hashtags, maintain a strong brand image on their platform, and glean organic content from customers to repost on their website and Instagram. It takes serious work to form a dedicated fan base, but Double Agent is using methods that make it more likely to reach new customers and remain bonded with existing ones. Posting five times a day is a strength for a brand whose followers are eager for their content. pretty low, compared to Double Agent’s. Even so, they have a high daily engagement rate of 10.38%. 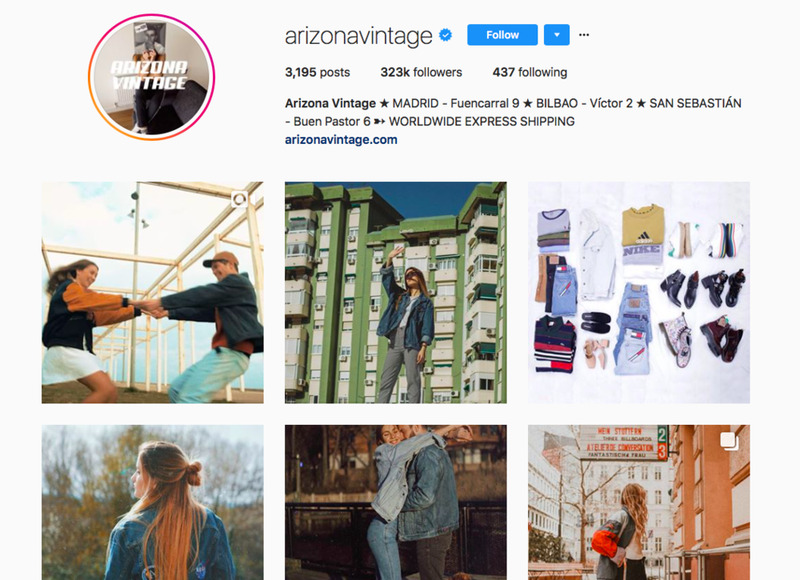 Both brands have their Instagram advertising strategy down to a science, and both manage to have high scores of daily engagement despite drastically different posting rates. If the content is quality, there’s no reason to lose sleep over posting frequency. what causes users to STOP following brands on Instagram? Respondents could choose (A) Not being interested in the products anymore, (B) Content not being relevant or interesting, (C) The user doesn’t see value in following brands in general, (D) The user doesn’t like the brand anymore, (E) The brand has too many followers, (F) The brand posts too much, and (G) Other. “Posting too much” did account for 25% of participants unfollowing a brand. However, this was well behind product relevance at 44.5% and brand interest at 42%. The numbers suggest, therefore, that posting frequency is not nearly as important as these other two factors. Which is to say, customers who are interested in your product and content are unlikely to unfollow you for posting too much. So: posting rate doesn’t have a definitive nagative effect on engagement rate, and the quality of the content coupled with the interest of the consumer are much more relevant areas to target. If you have the resources to produce lots of high-quality content, it’s worth increasing your posting frequency from time to time to see how it impacts your engagement rates. If you proceed with experiments like these, be sure to measure daily engagement vs. per post stats to form a more complete conclusion about your strategy.